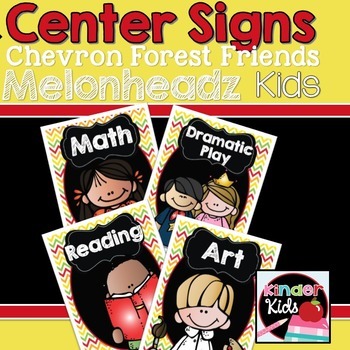 These center signs feature the adorable Melonheadz kids on a red, green, orange, and yellow chevron colored background! 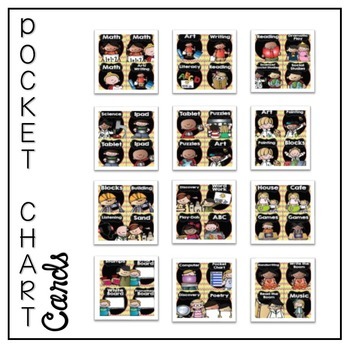 Great for any classroom! 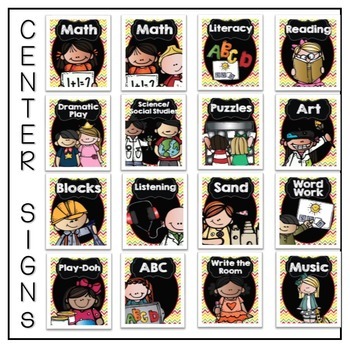 These center signs will go great with our Forest Friends Décor Bundle for a beautiful cohesive classroom! Look for it to be posted soon! 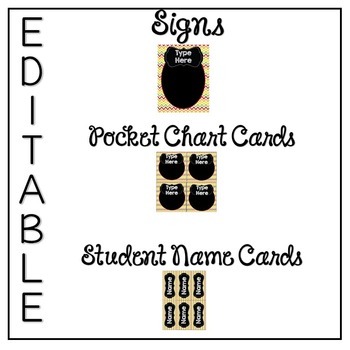 Pocket chart cards for each center sign are included as well as EDITABLE student name cards and an EDITABLE blank sign in case you need to create one not included! Math (2 options), Art (3 Options), Writing, Literacy, Reading (2 options), Dramatic Play, Science, Social Studies, IPad (2 options), Tablet (2 options), Puzzles (2 options), Painting (2 options), Blocks (2 options), Building, Listening, Sand, Discovery (2 options), Word Work, Play-Doh, ABC, House, Cafe, Games (2 options), Stamps, Smart Board, White Board, Promethean Board, Computer, Pocket Chart, Poetry, Handwriting, Write the Room, Read the Room, Music and QR Code.